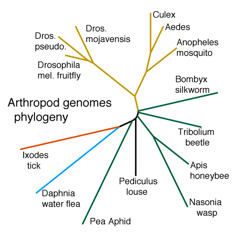 This service provides a view of Drosophila genome data, with genome maps and BLAST sequence search, for these species. Please mail your comments and help requests to drospege @ eugenes.org. This project is supported by a grant to D. Gilbert from the National Human Genome Research Institute of the National Institutes of Health .